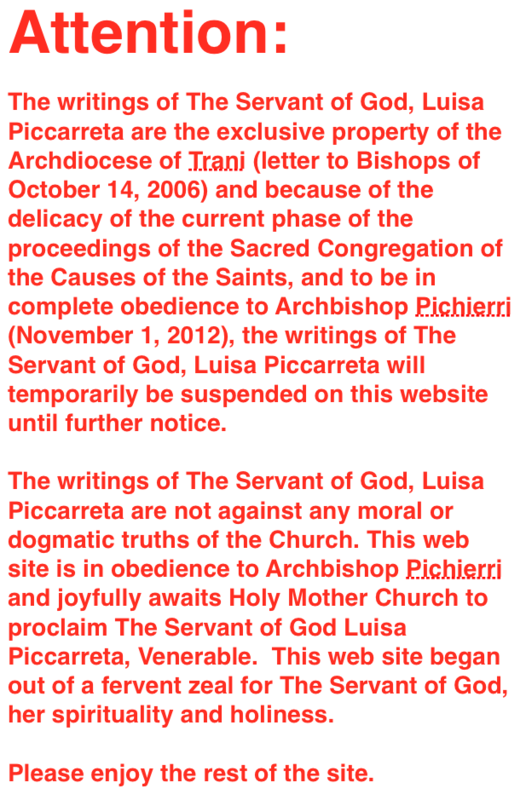 The doctrine on the Divine Will is a patrimony of the Church. From its origins the Church has always accepted this doctrine, which is fully treated in Sacred Scripture. I believe that we are all fully aware of this; everything depends on the Holy Will of God that is one in the Three Persons of the Most Blessed Trinity; even if the Three Persons are three and distinct, the Will is one that flows from the single Divine Font. 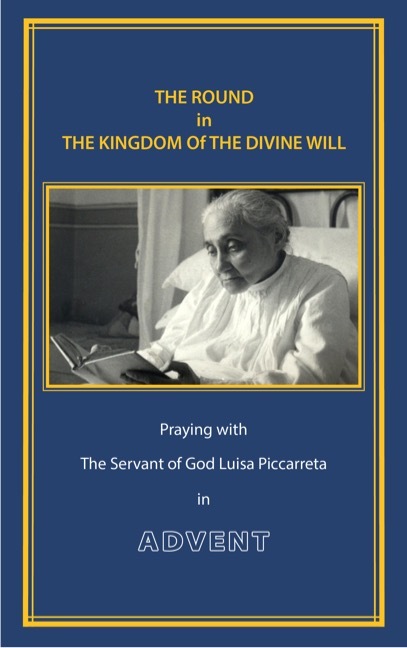 The question that we ask ourselves is this: what difference is there between the doctrine of the Church on the Divine Will and that which the Servant of God, Luisa Piccarreta, proposes to us? In my opinion there is no substantial difference. In Piccarreta we find a deepening of that which we find in Sacred Scripture, an original deepening that at times can leave us perplexed. The spirituality of Luisa Piccarreta always dwells on one sentence in Sacred Scripture, specifically on the prayer, the “Our Father”, concerting her attention on: “may Your Will be done on earth as it is in heaven”. 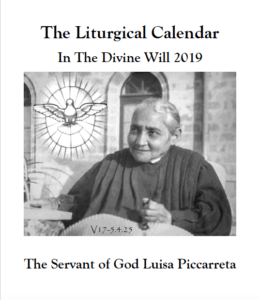 Piccarreta surpasses the simple concept of fulfilling the Will of God, which is surely the desire of everyone and most especially of the saints, but says that The Will of God is fulfilled completely when a soul is called the live His Will. 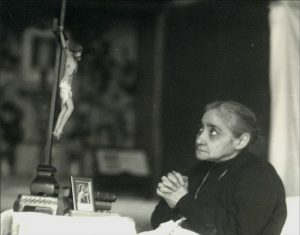 This means that one renounces ones own will, which is offered to God, and lives only in His Will which becomes the life of the soul; here are the words of Piccarreta: “God no longer entrusts His treasures to human will, because it spoils them; but He wants that man willingly cedes his will to God, in order to live the Will of God, so that God might make of man His masterpiece”. 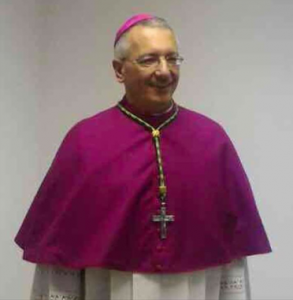 These principles, if they are not always read and lived under the guidance of priestly authority and of the infallible Magisterium of the Church, can result in erroneous interpretations, such as to be damaging to souls and to the institutions of Holy Mother Church. these are very distinct one from the other without any confusion whatsoever. 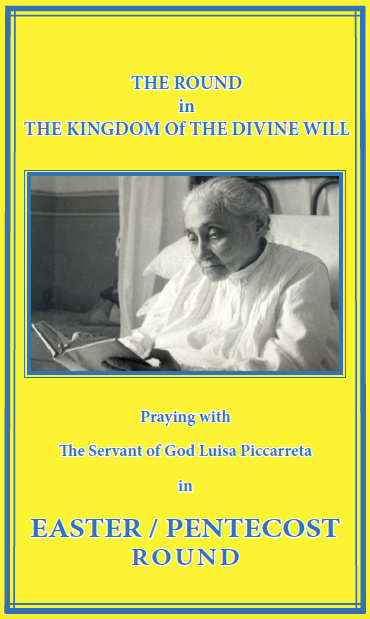 The spirituality on the Divine Will that Piccarreta proposes for us has a very high formative value is truly lived and understood. 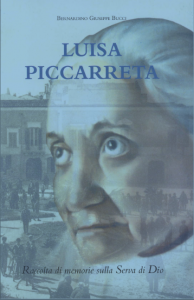 Piccarreta sheds new light, in the perfection of souls, because everything is seen, perfected, rendered precious by the Divine Will. These souls, which have the gift of the Divine Will, become very precious to God, Who delights in contemplating them and in loving them. The Divine Will is the gift of gifts, which God can bestow on souls and surpasses all other forms of sanctifications which have preceded us in the history of the New Testament. 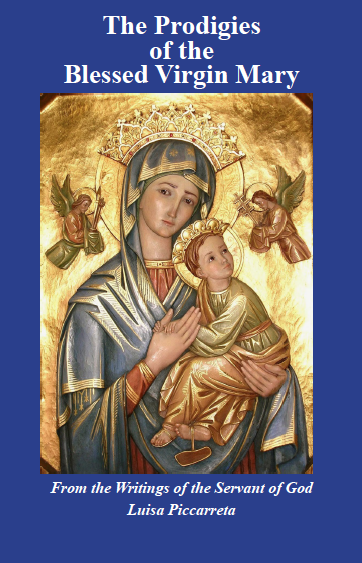 This gift of God was actualized fully only in the Blessed Virgin who is called by the Servant of God: the Elect among the elect, Celestial inheritor. The Eucharist is the heart of the Church. In the Holy Eucharist, the holy people of God gather, fortify themselves and sets forth on the journey. If a soul lives the Will of God, the Holy Eucharist produces perennial fruit. By contrast, for those who do not live the Will of God their fruit is short lived, even only for a few minutes. In the souls that live the Divine Will is actualized a communion of grace with God. The Church teaches that the Eucharist is the center of a Christian soul from which flows every perfection. This truth has always been taught by the Church. 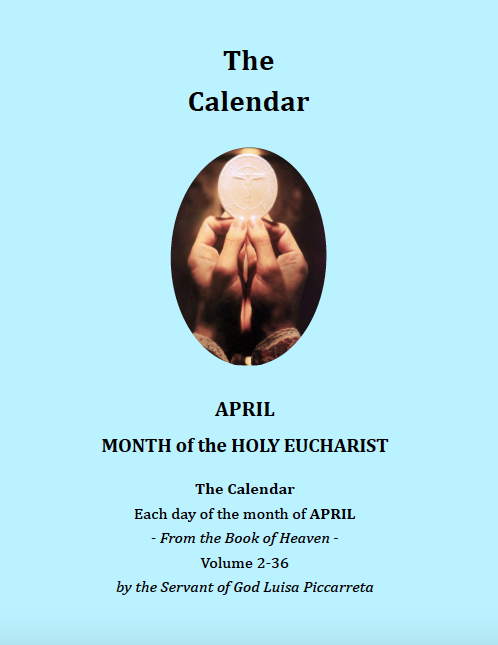 One question comes to mind: who instituted the Eucharist? 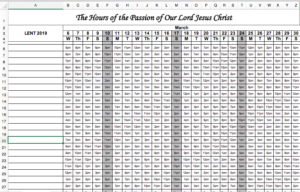 Who allowed the humanity of Christ to be enclosed in a Host? It was the Divine Will that has primacy over all things since all things flow from It. If the Eucharist were a center unto itself, unhinged from the Divine Will, all those who receive It would have to be perfected and saintly. 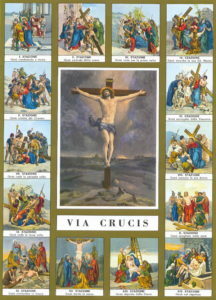 Instead it is not like that because the souls that live the Will of God, even if they are Eucharistic souls and feed themselves daily with the Body and Blood of Christ, often live in misery, except for rare exceptions, are always at the same place: vain, angry, stubborn, willful, miserable, and at the moment of trial are even capable of doing evil and the Most Holy Eucharist, divine nourishment, bread of angels, incomprehensible mystery to the human mind is dishonored. 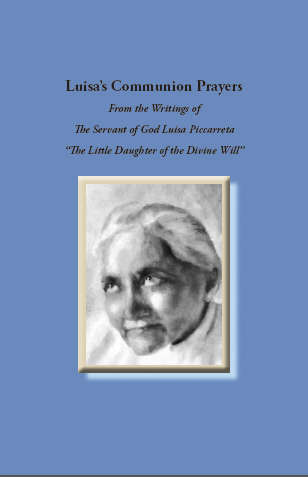 On the other hand, a mother, a dad, any common woman, any young man or young woman ( Luisa Piccarreta ), who tries hard to live in the Divine Will, even if they do not receive the Eucharist daily, whenever they disseminate their virtues, they become authentic Eucharistic souls. 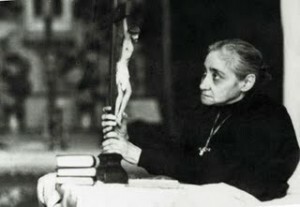 In the souls that live the Divine Will, all the Sacraments produce their full fruit; if the human will does not meld with the Divine Will, even if one nourishes himself with the Holy Eucharist, he will remain hungry, if he confesses his faults he will remain culpable, and so forth, risking to profane all the Sacraments, especially the Sacrament of Matrimony from which must arise and be nurtured other souls, otherwise it becomes desecrated, (the parents of Luisa, called angels of sanctity). Only he who lives the Will of God, gives life to all the sacraments and to all the graces that come from them; those who do not live the Will of God will remain children in their Faith. In the Will of God, the souls are filled with the Wisdom of God and everything in them will be strength and resolve. God will renew in them a consecration, like that found in the Consecrated Host, making them a living host. 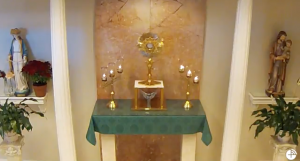 In the Holy Eucharist in the Tabernacles, all can be dead, mute, without that there be a palpitation and a loving yearning that responds to the eternal love of Christ; if Christ had not the patience to await the hearts of men in order to give Himself to them, He would be unhappy and would be defrauded, and his sacramental life would be meaningless. For 2000 years Jesus tolerates this constant dying in the tabernacles because His immense love allows Him to remain among His people even if He does not receive all the honor and love due him. 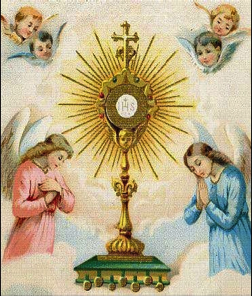 The souls that live the Will of God are resplendent because they are Eucharistic. 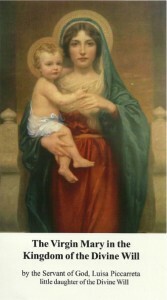 They love the Eucharist as the source of their holiness and they will have their mind, their eyes, and their ears, always turned towards the Eucharist in order to hear the voice of Christ and to be able to unite themselves to his works and help Christ in the sanctification of souls, like the Most Blessed Virgin. It is in these living hosts that Jesus finds the relief found in Tabernacles. 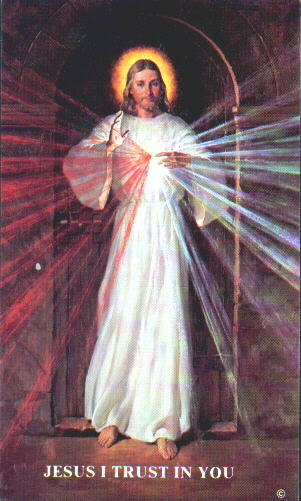 A soul cannot enclose itself into a consecrated host, only Christ can do it, but it can very well enclose itself in the Divine Will thus forming a host consecrated to the Eternal Love of God. Every act that a soul does in the Divine Will forms a host that God will make his food just like a soul nourishes itself on the Eucharist. The Eucharist forms the Life of Christ in the Church. In the Eucharist we find the supreme act of Christ’s Love for His creatures, enfolding them all in His Life. A soul that lives the Divine Will becomes a host of the love of God that binds Itself to the Most Holy Eucharist, renewing, like Christ all his/her actions of love towards God and towards humanity. 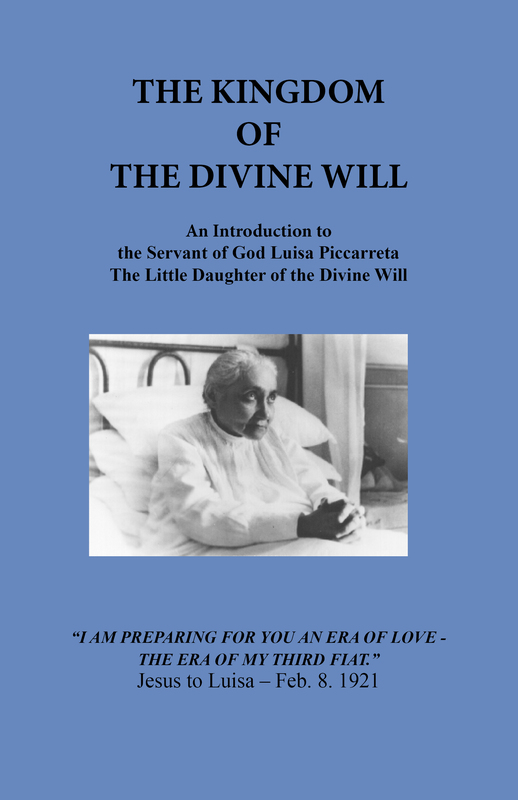 To speak of the Divine Will, as Piccarreta intends it, is not easy considering the quantity of writings that the Servant of God has left us. I will treat only a few of the concepts that to me seem most significant. 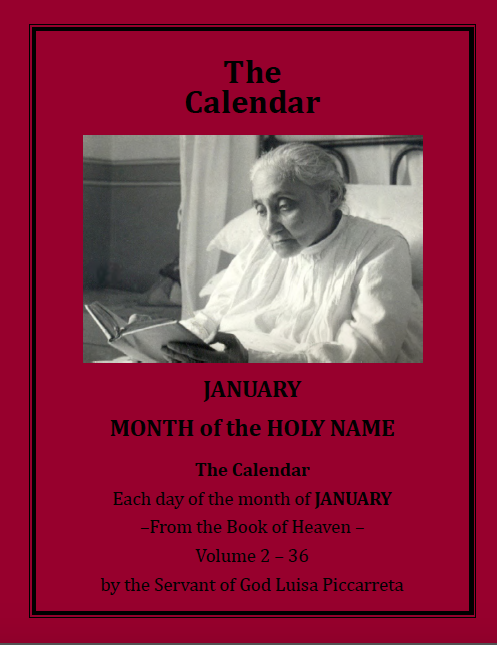 For February 12th, 1906, we find these words written in her diary: “the soul that lives the Will of God is clothed with a light similar to that of God. 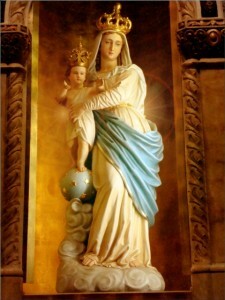 The soul that wants to live the Will of God, opening itself to it will feel changed, it will feel lifted by a divine air, it will feel almost divine; in fact from impatient it will become patient, from haughty it will become humble, docile, charitable, obedient; from poor it will become rich in virtue”. 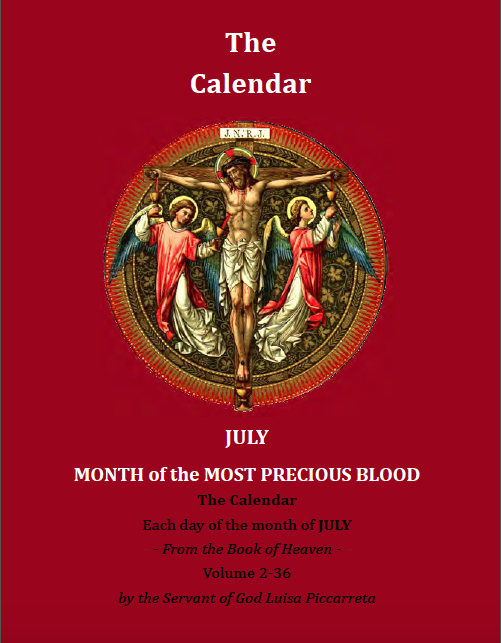 The 3rd of July, 1906, we find: “the Will of God is the repose of the soul and the repose of God in the soul. The Will of God is the paradise of the soul on earth”. 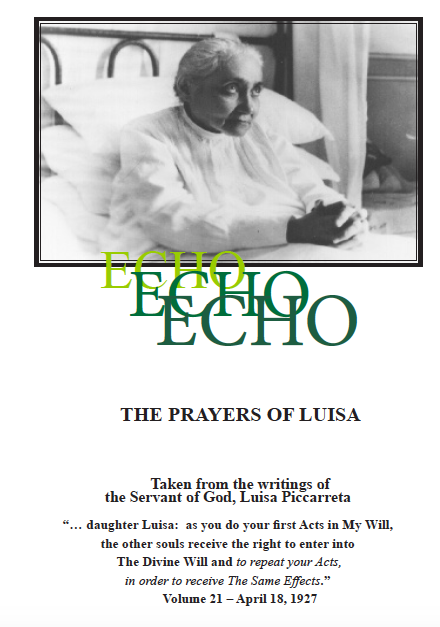 The 28th of November 1906, we find: “he who lives the Will of God is similar to Jesus and embraces all creature and their actions”. 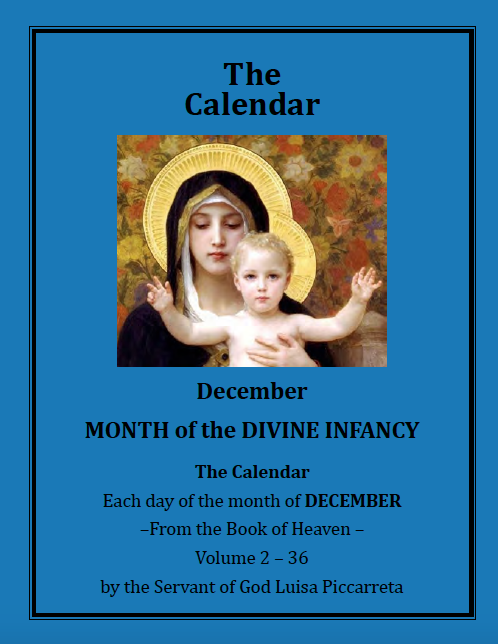 The 12th of December of the same year: “he who lives the Will of God, leaves his/her own which is his/her torment and finds a richness that is not human but divine and sees that all things of this world are nothing before the Majesty and the Wisdom of God”. 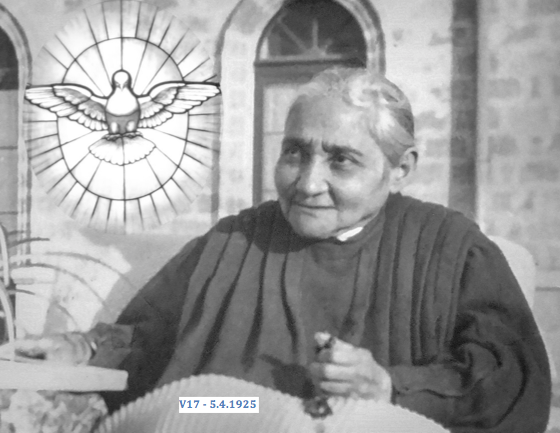 On the 20th of January, 1907: “the soul that lives the Divine Will finds true love”. 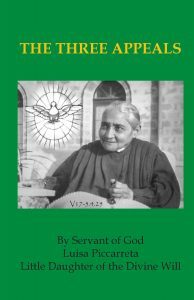 The 23rd of June, 1907: “the soul that lives the Will of God gives to God all that which God can ask from one of His creatures”. The 4th of July, 1907: “he who lives the Will of God is like a fertile ground in which the Lord sows truths constantly even when He appears not to speak, in reality continues to sow in the soul, in the mind and in the heart His highest truths”. The 9th of July, 1907: “in God’s Will neither drought nor sins can enter, in fact God’s Will is light and contains only His grace”. 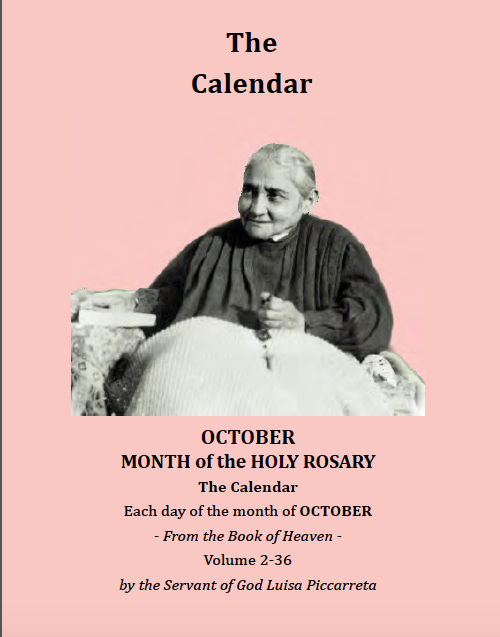 April 8th, 1907: “he who lives the Will of God is in constant communion with God every moment of the day and is in continuous union with God”. 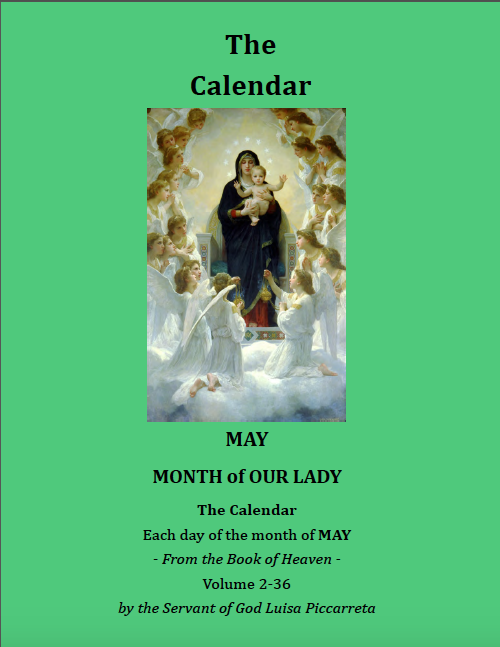 The 3rd of May: “in the souls who live the Will of God, the only happiness is God, this is the greatest fruit that the Will of God produces in the souls”. 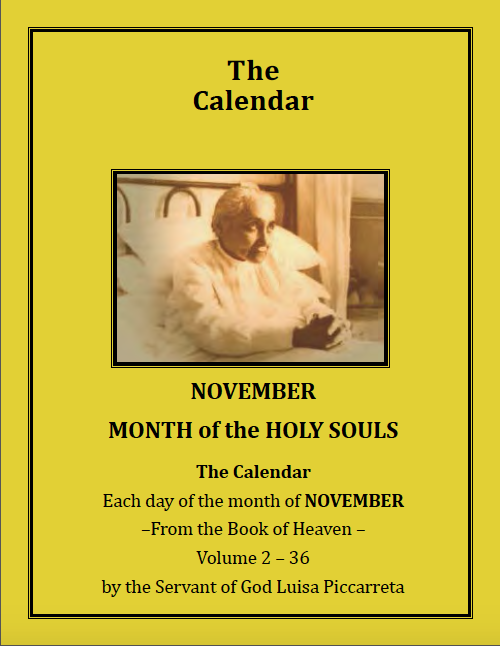 The 1st of November, 1910: “the soul who lives the Will of God, achieves such a level of perfection that not even the greatest punishments frighten them because all happens in God’s Will; only evil is completely foreign to it. The soul that is completely consumed in the Divine Will disarms the Justice of God, since the souls that live the Divine Will become lightening rods of Divine Justice. He who lives the Will of God expresses the most perfect union with God, that union that a creature can possibly attain”. 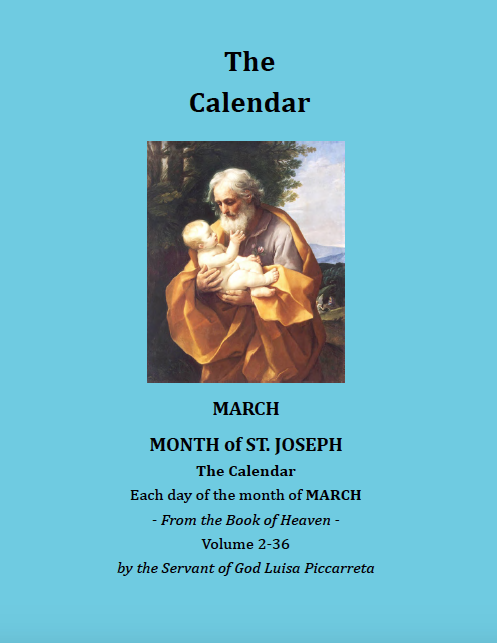 The 15th of March, 1912: “the Will of God is the sanctity of sanctities. 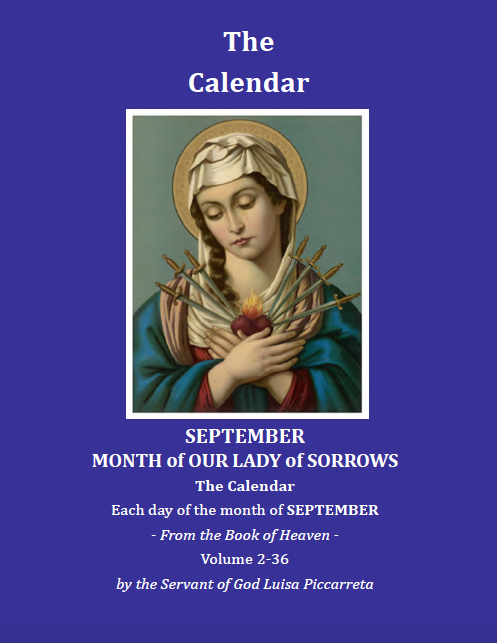 A soul, be it very small and ignorant, but that lives the Will of God as the Our Father instructs, [on earth as it is in heaven], becomes queen and surpasses the very saints who have worked powerful miracles and healings. The soul that lives the Divine Will appears to be doing nothing, because it works and acts in obscurity. The works of God are not clamorous. The souls that live the Will of God are lights that illuminate, winds that refresh and purify, that burn the impurities; they are miracles that allow miracles to take place, they are the feet of the missionaries, the tongue of the preachers, the strength of the week, the patience of the sick, the rule of the superiors, the docile obedience of the oppressed, the tolerance of those slandered, the firmness in danger, they possess the heroism of heroes, the courage of the martyrs, the sanctity of saints”. 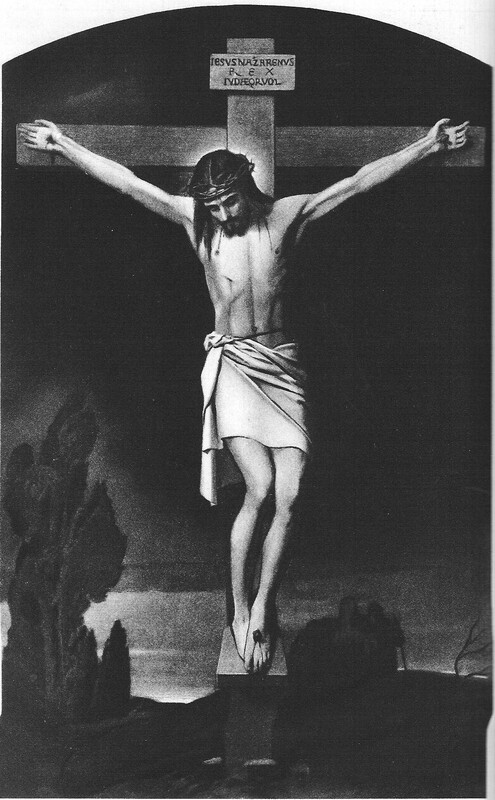 The 20th of April, 1912: “the only goal of the souls who live the Will of God is to give of themselves completely to Jesus without reservation, Jesus who alone is redemption. 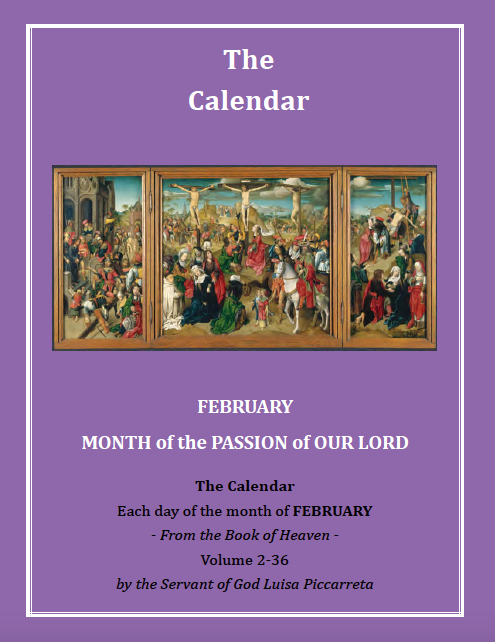 The Lord Jesus leads these souls dear to Him, on the path of perfection, becoming the master and guide”. 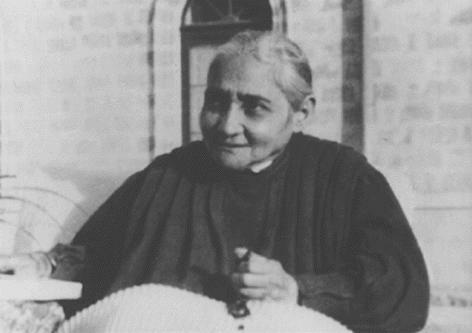 From the 17th of March, 1914: “in living the Divine Will, a soul cannot hold the eternity of God within itself and therefore showers upon all humanity, those graces from God that are overabundant in her”. “The souls that pray in the Divine Will extend their prayer to all of humanity which is received by other souls according to their disposition. 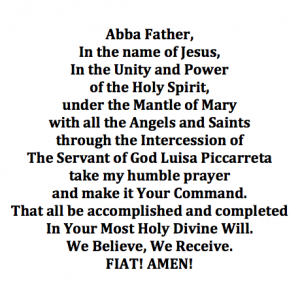 These prayers are joined with those of Jesus, Redeemer and Word of the Father”. “The Will of God is the highest point possible that can exist on earth and in heaven and if a soul succeeds in attaining it, it can say that it no longer is in need of anything because it possesses everything”. These assertions can become dangerous and produce an improper exaltation is they are not interpreted correctly. 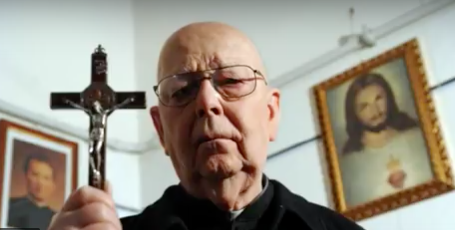 The desire to reach perfection can lead one to believe that one no longer needs the mediation of the Church, that one no longer needs the Holy Eucharist, that there is no longer any need for priestly authority. These conclusions are diabolical; they express an infernal force. The Christian can never do without the Church, nor can he do without the structures through which the Church transmits the message of Christ. Creation or its creatures will understand the Will of God in the measure to which they can understand it; in fact those who live the Will of God acquires that light or that grace that a created being can hold and understand. “The Will of God is the wonder of wonders, is the secret to finding the light, sanctity and the riches that a soul needs. These are not visible gifts, for this reason they are not loved by those who live distractedly the Christian life”. 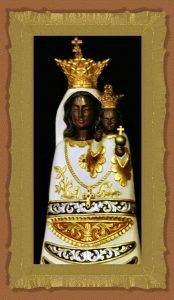 “The Divine Will contains creative virtue, contains the ability to multiply all human acts undertaken in His Will. The kiss that this soul gives to God represents the kiss of all mankind. A creature has nothing that can match the eternal love of God and therefore everything that it possesses comes from God, in this way it appropriates the love of God, and can say to God: I love You with an eternal love, immense and infinite that I lift up to You”. Even these words must be read and meditated under the guidance of priestly authority, so as to always be mindful of being sinful creatures always and in every instant needful of Divine Grace. 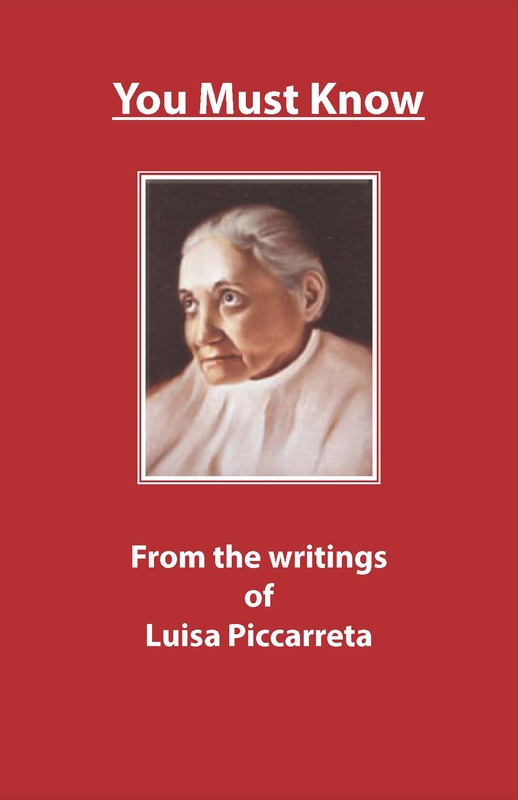 This was the attitude of the Servant of God, Luisa Piccarreta, who always said: I am not capable of performing miracles, they are performed only by God, I am only a sinner and an invalid who is needful of everything and everyone. 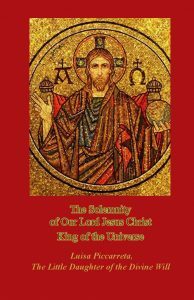 “Souls need to pray as Jesus prayed who poured all in the Divine Will, and only in the Divine Will do all creatures come together, in fact Jesus every day placed at the feet of the Divine Majesty all the acts of the creatures purified by His Divine Sanctity”. 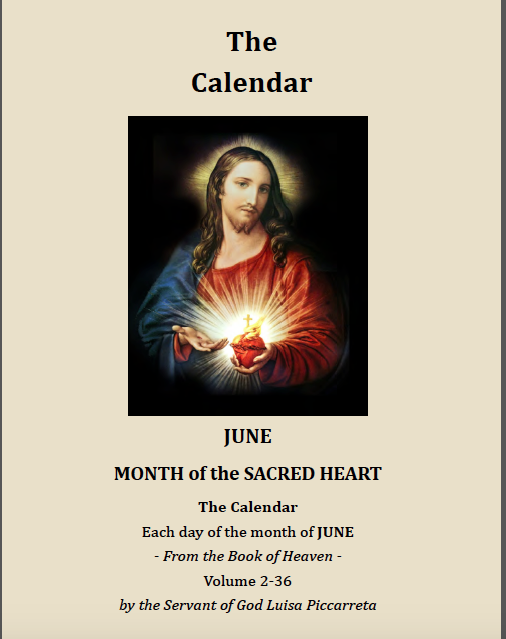 “The souls that live the Divine Will can unite all the acts lived by humanity to Jesus in His reparatory prayer presented to the Father and as Eternal Word, He can obtain all. The souls that live the Divine Will are trees planted in the garden of the God, that is not content that they only produce flowers only, but He allows fruit to grow so that His nectar will be tasted by the souls who losing the taste for human things think only of God. These souls will produce the fruit of courage, the fruit of tolerance and of tranquility. 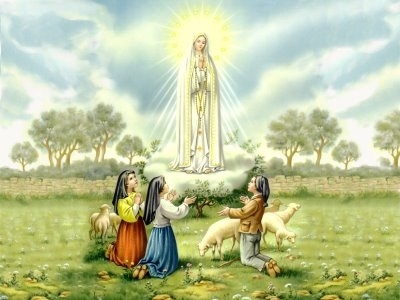 They will produce heroic fruits which always attract the heart of God; this represents the state of grace in a soul”. “God is not interested in big cities, in grandiose monuments, in the grandiose and artistic churches since everything can be destroyed and rebuilt. God is interested only in the salvation of souls for this reason He sent His only Son on earth so that man might be released from sin. He who lives the Divine Will is no longer himself who lives but Christ who lives in him”. 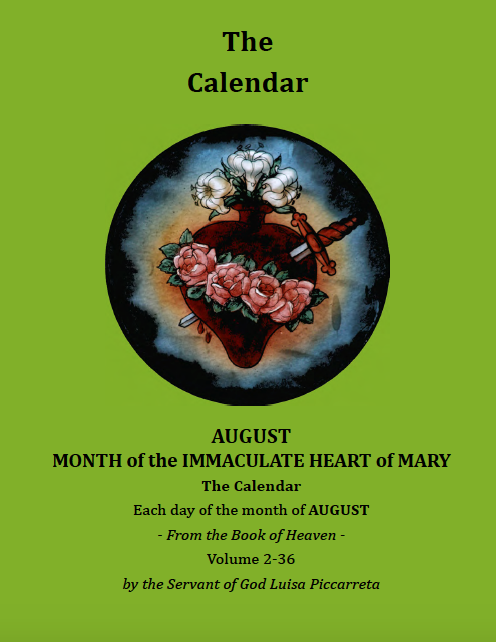 “He Who constitutes the Sacrifice of the Mass in its sacrificial and convivial aspect is uniquely and only Christ; the souls that live the Divine Will become involved in the Sacrifice of Christ. He who lives the Divine Will, lives in His Grace, the Mystery of Christ penetrates through him and he embraces its immensity; he lays down human ways and acts and acquires the ways of God. Certainly, the work of God is realized in souls in a gradual journey. The Divine Will gradually takes over, manifesting now one, then another truth, so that their minds can fully become opened to the Divine Will. Christ, in the Eternal Will, contemplated all the acts of Creatures, even wrong acts, remaking them all in order to offer them in dignity to the Father as praise and thanksgiving. In these times God is creating a ring that will reunite his creatures to Himself; these creatures are they who accept, open themselves to and live His Will. 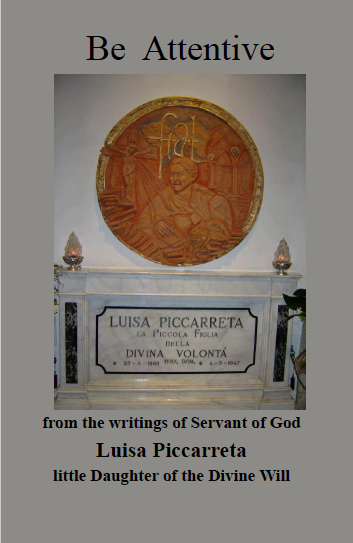 All of this was manifested first to the Servant of God, Luisa Piccarreta”. Of course we find ourselves before the marvelous pedagogy of God which manifests His truths to His creatures, gradually. 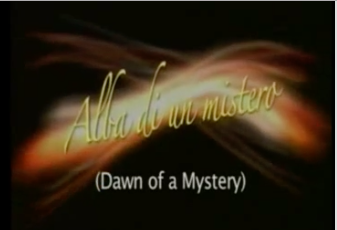 Otherwise, (as Piccarreta says), souls would not be capable of comprehending and living the Divine Will. 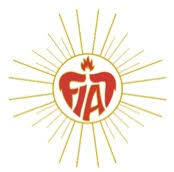 To the ingratitude of souls, Christ brought reparation with His Incarnation, death and Resurrection; this immense and divine patrimony became food for all of humanity so that in living the Divine Will it could come to know and love the Creator. The Lord loves to be loved by those He has loved so much. God has contemplated this splendid and free creature molded and shaped by Him, has found it so beautiful as to fall in love with it: “Everything I have created for you, sweet creature, I give you dominion over creation, everything will always be yours and you will always be mine”. The air purified by these souls who live the Divine Will, will penetrate all the corners of the earth and God will breathe in this purified air. In the Divine Will the soul is fully free; God leaves it free in order that it love Him as it wishes. The grace of God will illuminate it always and that which is impossible for man will always be possible for God. The Lord launches another event of Grace in the world called the “third era” which completes the work of God: Creation, Redemption, Sanctification (Reign of the Divine Will); as bearer of this event God calls a humble girl from Corato, Luisa Piccarreta, called by everyone with a prophetic voice: “Luisa the Saint”. 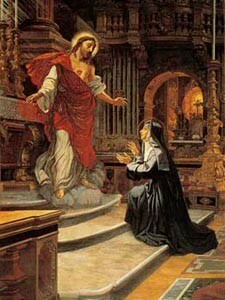 She was the first called by God to live the Divine Will and from her the call goes out to all humanity. In the Divine Will God shows us His creative power and says to the souls that they can accomplish immense good everywhere. “I love you, says the Lord, I have not made you a slave, but I have made you to live in liberty. 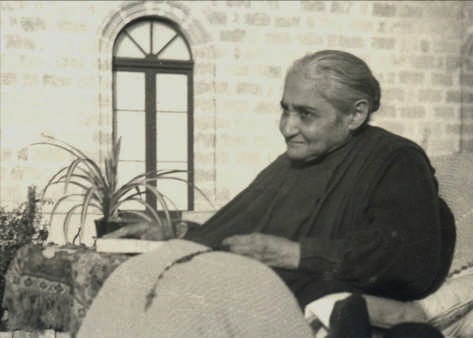 Man, therefore, do not abuse the power I have given you but have the courage to open yourself to Me and to savor My Love and do not change all of the good of My Creation into ruin and offense; accept to live freely My Divine Will in order to understand all that I have done for you”.